← The Challenger Explosion: Where Were You? Today’s Raleigh News & Observer headline reads “8,000 Patients Left in Lurch”, and I am one of those 8,000 patients. 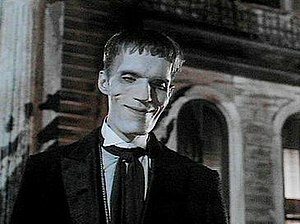 I like that headline, as Lurch, the scary yet stupid character from the Addams Family, is the perfect image for modern health insurance in the United States. Last fall the human resources at the organization that butters my bread had me go through the annual ritual of choosing among various indecipherable benefit plans with varying costs and levels of beneficence to me. The point of this ritual is a nod to all those on the right who say that when it comes to health care, we need choice, and only the free market can deliver choice to us through competition. Sounds nice in theory, but in reality one insurance company, AETNA, provided all the available plans, which is hardly competitive. The alternative was to opt-out of coverage, which I would have done had I been able to see a few months into the future. You see, we were only informed of the contract dispute between AETNA and UNC Health Care in January, well after the aforementioned annual benefit ritual. I live in Carrboro, North Carolina, right next to the storied university town of Chapel Hill, home of the Tarheels. UNC Health Care has an enormous hospital facility in Chapel Hill, and a number of other affiliated offices throughout town, and the Triangle area. But if you live in Chapel Hill or Carrboro, UNC Hospital is the most convenient hospital, and the obvious place to go for emergency treatment. And, because of their status as a teaching and research hospital, UNC Hospital’s standard of care is excellent. Simply put, if you live where I live, you are very likely treated by a doctor affiliated with UNC Health Care. I have Crohn’s disease, and since the early nineties, one gastroenterologist has provided guidance and care for this disease. She has given me respect and kindness, provided loads of good advice, and a gentle touch during some very intimate GI procedures. I have complete faith and trust in her. She is an excellent clinician, a faculty member at the UNC School of Medicine, and an affiliate of UNC Health Care. Recently, I had a basal cell carcinoma and a squamous cell carcinoma removed from my face. I need to have follow-up MOHS surgery to make sure that these lesions do not recur. The doctor who treated me for these lesions has treated me for a several years, and has earned my respect and trust. He is also a faculty member at UNC School of Medicine, and treats patients through an off-site clinic affiliated with UNC Health Care. I have seen these two doctors for a combined total of close to thirty years. While I’ve had my complaints about UNC Health Care, particularly their bureaucracy, the excellent care I’ve received from these doctors has given me little reason to seek care elsewhere. But now, because of a dollar-driven game of brinksmanship between UNC Health Care and AETNA, I am left with the choice of paying exorbitant out-of-network provider (insurance speak for “doctors we couldn’t hog tie”) fees to see the doctors I’ve trusted for years. Or I can start over, looking for a new doctor, except that none (zero, ought, nought, goose-egg, nada) of the in-network providers listed on the AETNA web site for gastroenterology are in Chapel Hill, meaning I will have to drive more to see these doctors. In an emergency, the nearest in-network emergency room is over twelve miles away, versus about 3 miles for UNC. Using the search term “Dermatology (MOHS)” on the AETNA web site, no in-network doctors were found within 100 miles; I suppose I should just leave those lesions untreated. Meanwhile, AETNA reports a 15¢ dividend to shareholders and 30% bump in profits over the fourth quarter of last year. Insurance companies are middlemen, and history has shown that in a truly competitive economy, there are fortunes to be made by undercutting middlemen, as it is a proven strategy to lower costs to the consumer. But, thanks to years of protection from well-funded politicians, the insurance industry has become a firmly entrenched middleman, sitting between me an my doctor, contributing not a wit to improved health care. Let’s just say I trust, respect, and, yes, maybe even love, my doctors, but I could never say the same about my insurance company. This entry was posted in Personal, Politics and tagged health care, Insurance, postaweek2011, rants. Bookmark the permalink.